BEST FORMLINES: "Rogue Runner", "Heredero", "Extreme Measure", "Sazavee", "Joyous Times" & "Triumph Star"
Hollywood Mo (g. by Uncle Mo). 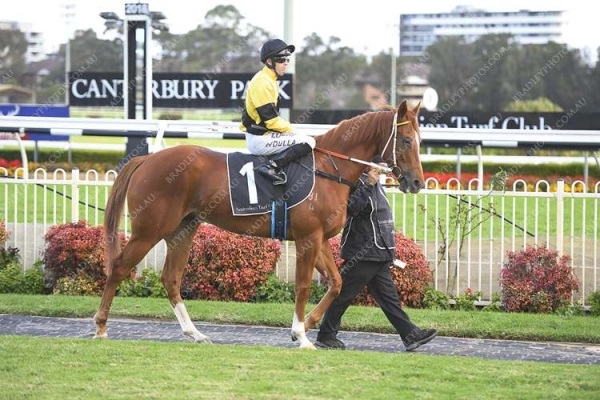 Placed at 3, A$98,435, 2d Geelong Classic, L, ATC TAB P., 3d ATC Hyland Race Colours P.
Aruba (g. by Choisir). 3 wins. See below. Miss Moana (f. by Uncle Mo). Winner at 2350m in 2018-19 in Aust. Sons of Glory (g. by Duke of Marmalade). Winner at 1700m in Aust. CHEVAUCHEE (High Chaparral). 3 wins at 1200m, 1600m, R327,525, Kenilworth Ladies Mile, L, Olympic Duel S., L, 2d Kenilworth Laisserfaire S., L, 3d Kenilworth Jet Master S., L.
Pretty Kool Kat. 4 wins to 1200m in Aust. Sassy Sal. 2 wins at 1600m, 2000m in South Africa. Coral Reef. 2 wins. See above. Wales (Caerleon). 4 wins-1 at 2-from 1m to 1½m in GB and U.S.A, Newmarket Saxon Street H., Goodwood Racing Channel S., Royal Navy 2YO S., 3d Royal Ascot Chesham S., L.
Essex. 9 wins from 1½m to 2½m, £74,647, €339,516, Curragh Irish Cesarewitch H., Leopardstown Pierse H. Hurdle, Newbury Trophy H. Hurdle, Tipperary Grimes Hurdle, Fairyhouse Sherry Fitzgerald Hurdle, 2d Curragh September H., Leopardstown Craobh Chomortas Na Marcach H., Galway H., Punchestown Morgiana Hurdle, Fairyhouse Ladbrokes.com Hurdle, 3d Punchestown Champion 4YO Hurdle. CHARLES THE GREAT (Holy Roman Emperor). 7 wins-2 at 2-to 1200m, £105,967, HK$15,073,000, HKJC BOCHK Wealth Management Jockey Club Sprint, Gr.2, Sprint Cup, L, Sha Tin Vase, L, Newbury Weatherbys 2YO Super Sprint, HKJC Briar H., Chennai H., 2d HKJC Chairman's Sprint Prize, L, Sha Tin Vase, L, Happy Valley Trophy, Hong Kong Exchanges Challenge Cup, 3d Goodwood Molecomb S., Gr.3, HKJC Queen's Silver Jubilee Cup, L, Premier Bowl H., L, National Day Cup, L, Sha Tin Sprint Trophy, L, Chinese New Year Cup, Hong Kong Exchanges Challenge Cup, Chater H., 4th HKJC Premier Bowl H., L, Sha Tin Vase H., L, Chinese Club Challenge Cup, L.
UNITAS (Sunday Break). 14 wins-1 at 2-from 5f to 1m, US$460,088, to 2018, Evangeline Downs Oak Hall S., L, Louisiana Legends Sprint S., L.
ALCHEMY (Rare Brick). 5 wins from 1200m to 2400m in India, Bangalore Derby, L, 2d Bangalore Karnataka Cup, L.
Race Record: 24 Starts 3-3-5 A$93,450. 3 wins at 1400m, 1600m, A$93,450, to 2018-19 in Aust. 22/Mar/2017 4th of 5 --trial--Wyong RC Barrier Trial, 845m. Pharaohs Rush was 1st and Off the Dial 2nd and Hilfiger 3rd. 05/Apr/2017 2nd of 6 --trial--Muswellbrook RC Barrier Trial, 880m. Le Quirky was 1st and Soolaimon 3rd. 18/Jul/2017 5th of 6 --trial--Newcastle JC Barrier Trial, 800m. Eagleworks was 1st and Final Frontier 2nd and Fortune Anthem 3rd. 02/Aug/2017 4th of 7 --trial--Gosford RC Barrier Trial, 800m. Beat the Market was 1st and Zioptimus 2nd and Longmire 3rd. 16/Aug/2017 2nd of 7 --trial--Newcastle JC Barrier Trial, 900m. Winner's Lane was 1st and Wallangarra 3rd. 25/Aug/2017 6th of 6 --trial--Gosford RC Barrier Trial, 800m. Point Forward was 1st and Restless 2nd and Turnberry 3rd. 14/Feb/2018 5th of 6 --trial--Newcastle JC Barrier Trial, 800m. Greater Good was 1st and Classy Fella 2nd and Tule Mist 3rd. 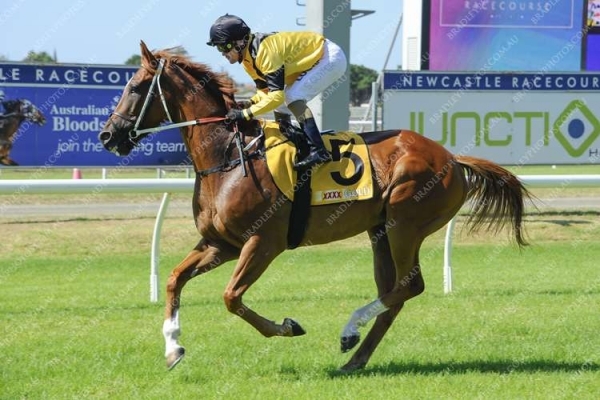 24/Apr/2018 5th of 7 --trial--Newcastle JC Barrier Trial, 800m. Zestful was 1st and Sasso Corbaro 2nd and Oakfield Captain 3rd. 07/Nov/2018 7th of 8 --trial--Gosford RC Barrier Trial, 800m. Postmaster General was 1st and Trust Me 2nd and Boyer 3rd. 22/Nov/2018 3rd of 9 --trial--Newcastle JC Barrier Trial, 900m. Oakfield Captain was 1st and Hidden Hills 2nd. 18/Dec/2018 5th of 7 --trial--Gosford RC Barrier Trial, 800m. Trust Me was 1st and Rekindled Force 2nd and Randiki 3rd. 05/Feb/2019 2nd of 5 --trial--Wyong RC Barrier Trial, 1200m. The Big Vin was 1st and Goathland 3rd. (6.2) Muswellbrook Cup, A$103,000, 1500m, time 1:29.74. Track soft(5). Carried 54.00kg. The Bandit was 1st and Blinkin Artie 2nd and Got Unders 3rd. Trainer: P M Perry. Owner: Ms C G Collis. Jockey: L P Rolls. (7.7) Tamworth JC Thread Effects H., A$22,000, 1600m, time 1:36.92. Track good(4). Carried 61.50kg. Nistelrooy was 1st and Foxy's Foxinator 2nd and Moree Dreaming 3rd. Trainer: P M Perry. Owner: Ms C G Collis. Jockey: L P Rolls.